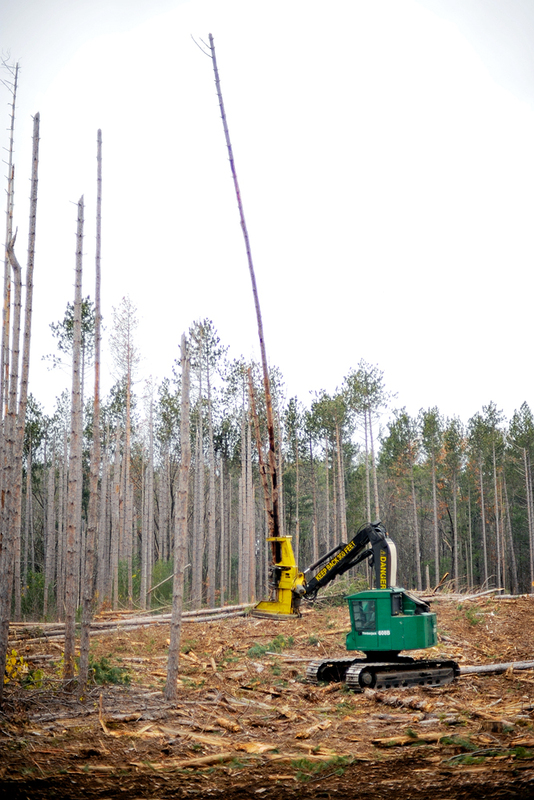 A Timberjack feller buncher cuts standing red pine trees and puts them into a pile. 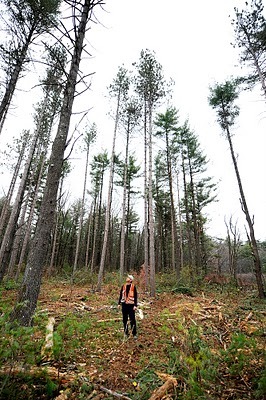 The red pine trees, which were planted in the Leominster Water Department Land on Wachusett Street many years ago, were damaged by the 2008 ice storm. 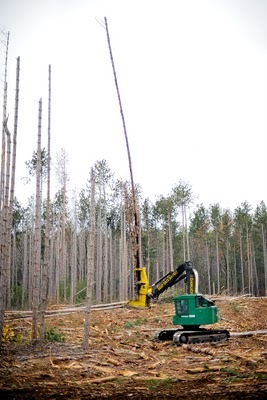 A Caterpillar grapple scrapper pulls logs to the lot. 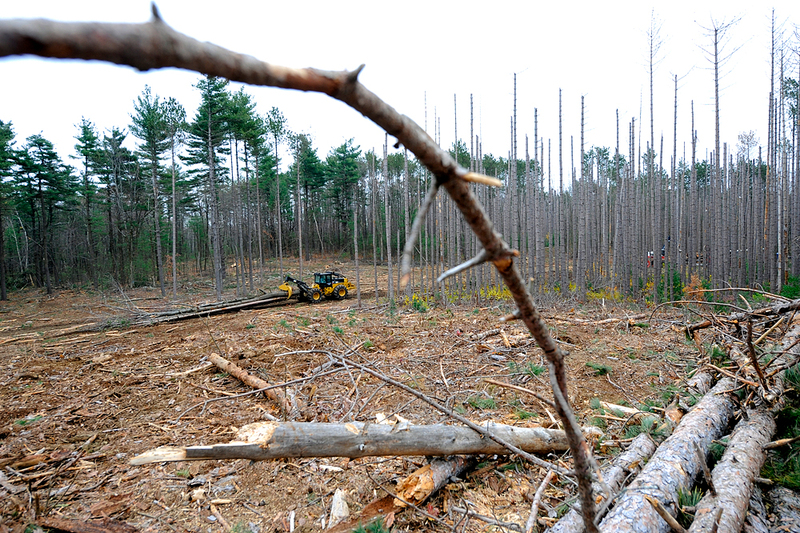 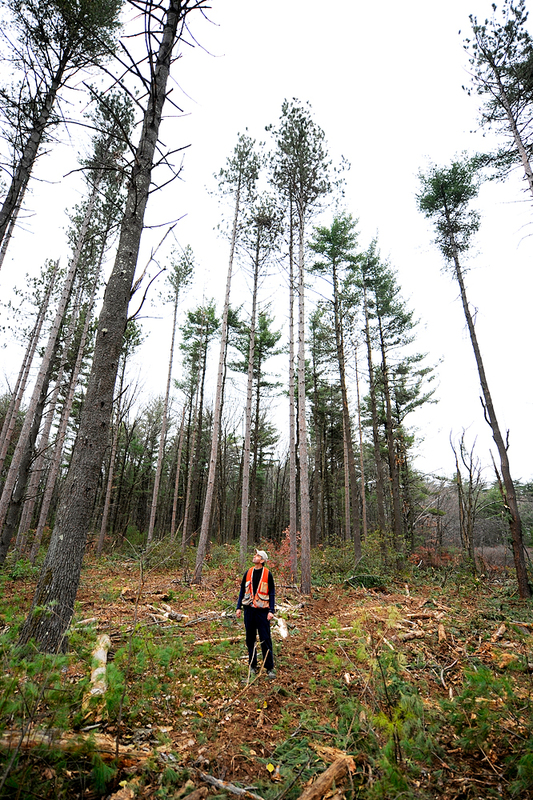 Gary Gouldrup of Pepperell, a consulting forester for New England Forestry Consultants, Inc., views a managed forest area near a lot where damaged red pines from the 2008 ice storm are being logged in the Leominster Water Department Land.